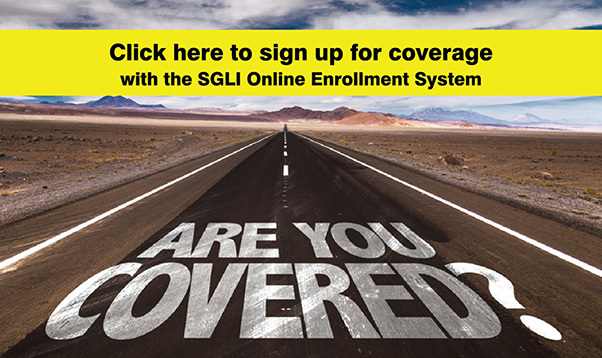 The new SGLI Online Enrollment System went live Oct. 1. With SOES, Soldiers have the ability to enroll in, or make changes to their SGLV form 8286 (Servicemembers’ Group Life Insurance Election and Certificate) all from the comfort of their own homes, whenever they choose. As of Oct. 16, a total of 48,597 Soldiers have signed up for coverage using the new Online Enrollment System from across the service. The Army launched its Servicemembers’ Group Life Insurance Online Enrollment System, or SOES, Oct. 1, providing a one-stop shop for SGLI coverage. With SOES, Soldiers have the ability to enroll in, or make changes to, their SGLV Form 8286 (Servicemembers’ Group Life Insurance Election and Certificate) all from the comfort of their own homes, whenever they choose. All that is needed is a personal computer and a Common Access Card or D/S Logon account. “There really is no downside to SOES,” said Hatten. As a backup, technicians are currently working on an interface so that once the SGLV Form 8286 is completed in SOES it will automatically export a copy of that form to the Soldier’s Personnel Electronic Records Management file (iPERMS) within a 24-hour time frame. While that portion of SOES is expected to be finished soon, there is no official date for its completion. With the new system there is an added convenience to the process, but Soldiers need not panic if they haven’t had the opportunity to sit down and plan their coverage. To utilize SOES, sign into milCONNECT at http://go.usa.gov/xnCyr. Click on the link that says “Life Insurance (SOES – SGLI Online Enrollment System)” under the “Benefits” tab along the top of the page. When the SOES screen pops up, click ‘continue’ at the bottom of the page and start updating your coverage.